Baumann said that given America’s decades of experience there are no “justifiable reasons to be skeptical” about the impact of GM crops on the environment and health safety. “Today things are different. There are no signs that this technology brings environmental risks or isn't safe,” said Baumann. EU green politicians and environmentalists have called the takeover a “marriage made in hell.” More than the GM plants themselves, they are concerned about Monsanto flagship glyphosate herbicide, well-known under the trade name ‘Roundup’. Monsanto's “Roundup Ready crops” are designed for use alongside this controversial herbicide, which according to some studies might cause cancer. Glyphosate’s EU license was set to expire this year, and some member states including France, Sweden, and the Netherlands objected to the renewal. A vote to reauthorize usage of glyphosate on a temporary basis failed in June 2016. However, glyphosate’s license has been extended for 18 months during last hours before expiration. Next re-evaluation of the license is scheduled on the end of 2017. Monsanto has a longstanding notorious reputation dating back to its production of Agent Orange used by the US in the Vietnam War. The $66 billion takeover and possible rebranding are supposed to fix that. 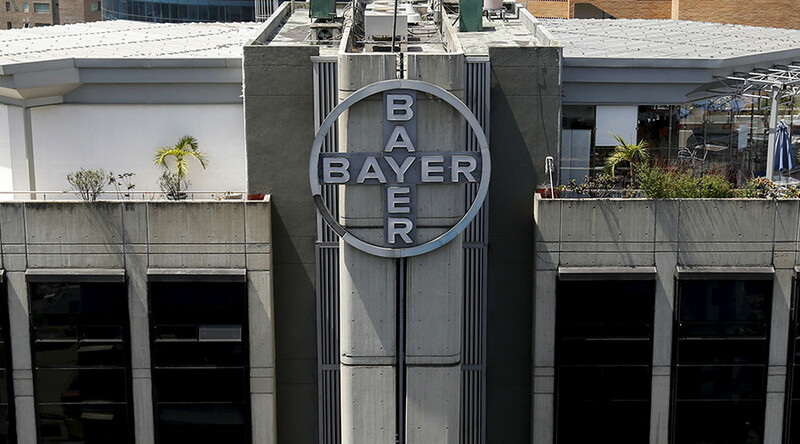 However the reputation that Bayer “enjoys” has been damaged recently by allegations of their own pesticides contributing to mass die-offs of bees. The companies say that the takeover will contribute to chemical and agricultural research and eventually will help farmers to produce more food. The environmentalists, green politicians and some farmers express concerns that the merger will only tighten a monopolist grip on the markets, and will lead to price increases, GM crops and pesticides spreading.